The largest airshow in the world was held at RAF Fairford in the second weekend of July; the Royal International Air Tattoo 2007. Again, some rarely seen aircraft were present on static display, e.g. the Brazilian Air Force R-99A, the T-1A Jayhawk from Randolph Air Force Base, Texas and a pair of Indian Air Force Su-30s and a Il-78MKI tanker. Another (future) Indian Air Force aircraft on static display was a brand new Hawk Mk132. Some of the flying highlights were the F-117A and the Indian Air Force Su-30 Display that was cut short. 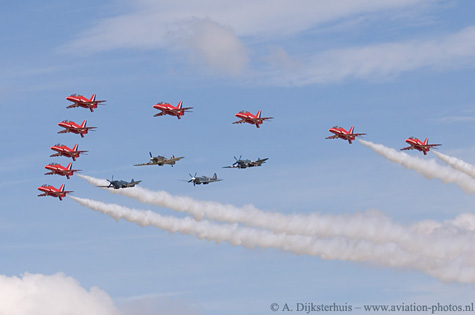 On this page you can look at the photographs from the airshow. Another page will cover the departures on Monday. The weather was not that good in comparison with last year, but the Saturday and Monday were quite good, so it turned out to be good weekend after all. 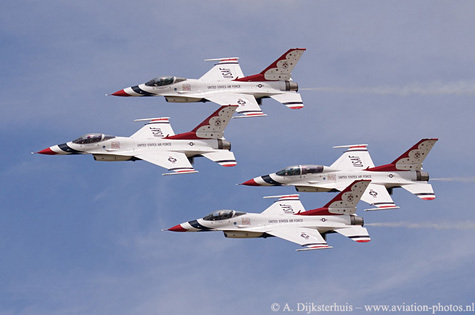 One of the highlights at RAF Fairford was the demonstration team of the United States Air Force; The Thunderbirds. 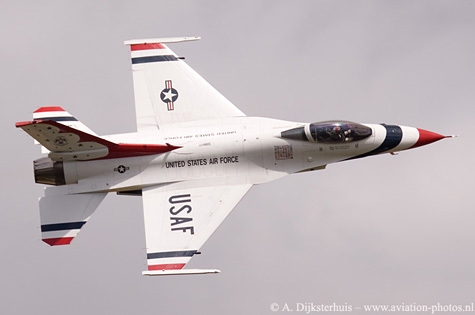 Their appearance was a debut for RIAT: The Thunderbirds appeared for the last time in the UK six years ago, but never displayed at the Air Tattoo before. The Thunderbirds displayed on both days to mark the 60th anniversary of the United States Air Force. Another highlight was this F-117A Nighthawk from the United States Air Force. Another type that will never be seen again at RAF Fairford for a display. Six F-117A Nighthawks are already withdrawn from use and flown to Tonopah Test Range, Nevada, for storage on March 12 earlier this year. The Nighthawks are slated for retirement by 2008. 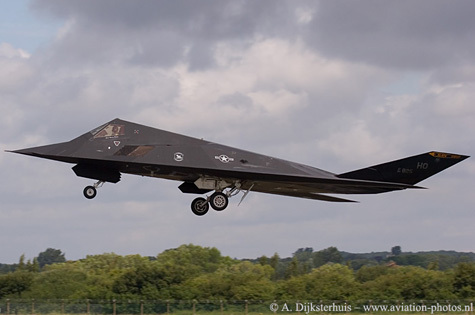 F-117A, with serial 84-0825/HO, is seen here in take off. Another 8th FS F-117A Nighthawk was present on static display. All the Nighthawks are based at Holloman AFB and will be replaced by the F-22 Raptor in the near future. It was quite a challenge to take decent photographs during the weekend. Fortunately, the sun came behind the clouds every now and then. 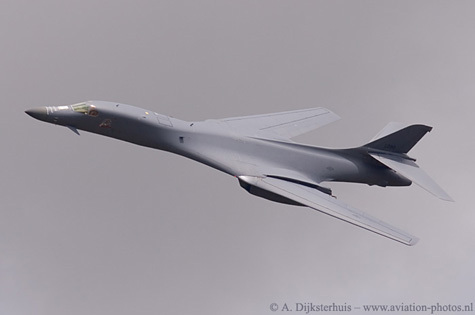 B-1B with serial 85-0090, is seen here while making a nice pass in front of the spectators. A much better display then last year. The 7th BW operates with this Lancer from Dyess AFB, Texas. 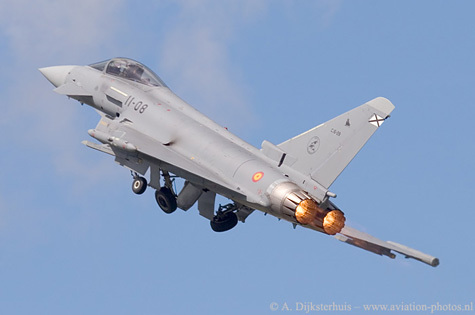 The Spanish Air Force displayed the capabilities of their C-16 Typhoon at RAF Fairford. Ala 11 operates this example with serial C.16-28/11-08, which is seen here with full afterburner at the beginning of the display. 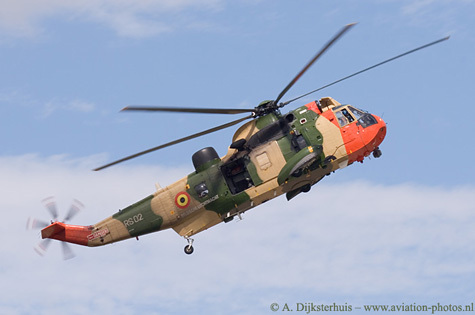 A SAR (Search and Rescue) demonstration was made with this Belgian Aircomponent Sea King Mk48 with serial RS02. 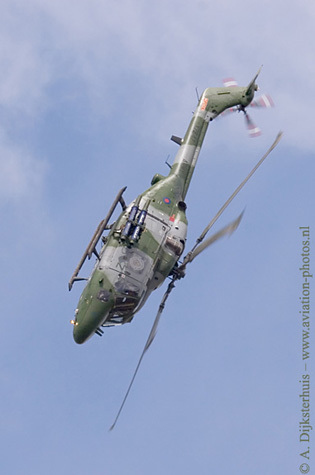 The helicopter is operated by 40 Smaldeel which is based at Koksijde, Belgium. The Red Arrows made a flypass in formation with three Spitfires and one Hurricane to celebrate the BBMF 50th anniversary. The four WWII fighters made a display together afterwards. It surely is a great sight to see these aircraft together in the sky. It is a great sound too! 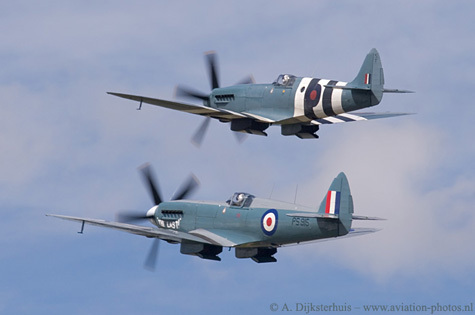 Two spitfires are seen below (in the middle) during take off. 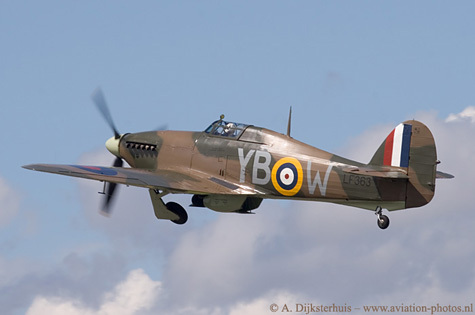 Last but not least, the Hurricane IIc, with serial LF363/YB-W, is depicted here during take off. The Nimrod was originally designed for Anti-Submarine Warfare, Anti-Surface Warfare and Search and Rescue duties. 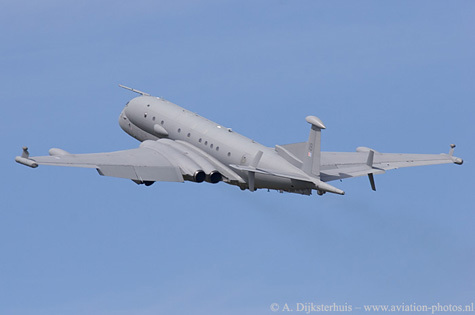 This Nimrod MRA.4, with serial ZJ518/18) will also be suitable for ISTAR operations (Intelligence, Surveillance, Target Acquisition and Reconnaissance); the electronic battlefield. The Nimrod MRA.4 was scheduled to enter active duty years ago, but due to several delays it still has not been delivered yet to the Royal Air Force. A pair of Royal Navy Jetstream T2 made a nice display. 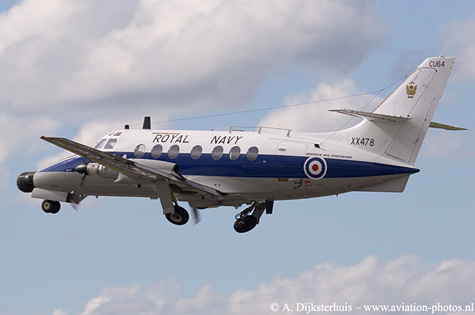 One of them, Jetstream T2 with serial XX478/CU-564, is seen here in take off and operated by 750 Squadron, based at RNAS Culdrose, Cornwall. Their primary task is to train the Fleet Air Arm's observers, before they might work as a tactician on the Sea King, Lynx or Merlin helicopters. 'Observers 90th anniversary' can be read above the roundel. The squadron however was formed on 24 May 1939. 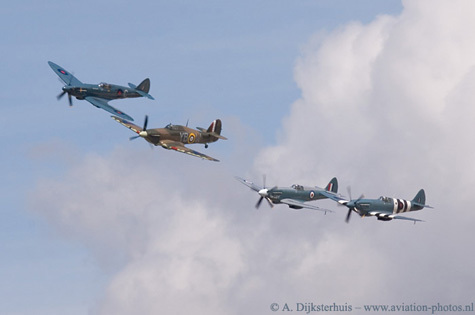 Some British display teams representing the Royal Navy, Royal Army and the Royal Air Force... Solo displays with e.g. the Tornado or Harrier were not scheduled for this year, an air power demo was made instead with a variety of aircraft participating. 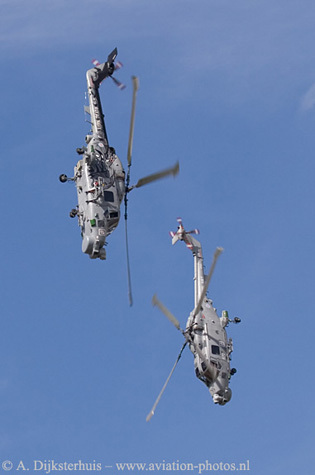 The Royal Navy Black Cats still performed, note the Lynx on the Lynx! In the middle a Royal Army's display; the Blue Eagles. The Blue Eagles fly with four Gazelle AH1s and one Lynx AH1, in this case the XZ647/Z. A great sight to see was the Royal Air Force Typhoon Display. 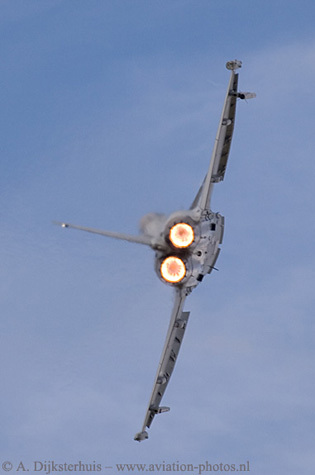 ZJ920/BX, a Typhoon T2, is seen here in action with full Afterburner.